I'm pleased to announce the release of The WisCon Chronicles, Vol. 9: Intersections and Alliances, edited by Mary Anne Mohanraj. As with the seventh volume of the Chronicles, the electronic edition of Vol. 9 includes a good deal more material than the print edition, and will be available gratis to everyone who purchases the print edition. "In this volume of the WisCon Chronicles, we find ourselves considering what it means to live at the intersections of various identities, some of them more privileged than others. We ask how we can function as good allies to each other in often challenging situations. We're living through an intense time of social change, and a variety of questions arise as we have these often difficult conversations about feminism, race, gender, sexual orientation, disability, and more. Among them are questions about what leads to positive social change and how best to effect such change in our communities." The WisCon Chronicles, Vol. 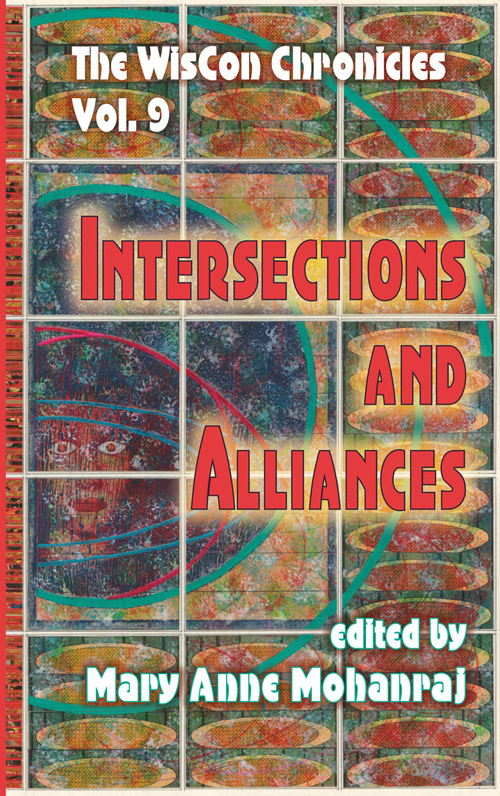 9: Intersections and Alliances, edited by Mary Anne Mohanraj, includes a mix of essays, fiction, poetry, and roundtable discussion by Nisi Shawl, Samuel R. Delany, Vandana Singh, Kelley Eskridge, Sheree R. Thomas, Michi Trota, Benjamin Rosenbaum, Tobias Buckell, and others.You can purchase it now from Aqueduct's website.